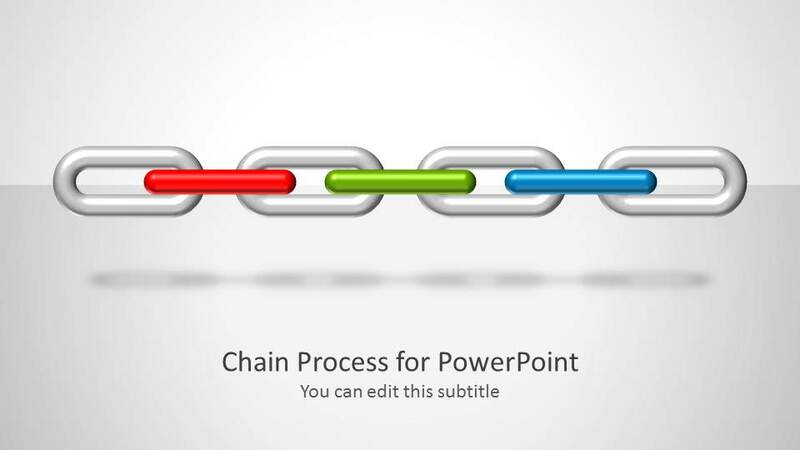 Chain Process Diagram for PowerPoint is a presentation template containing a nice chain illustration and diagram that you can use to model a chain process in PowerPoint or describe process flows. 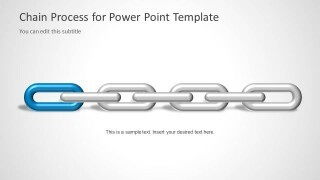 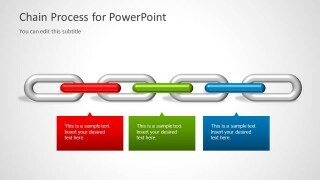 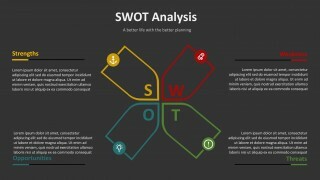 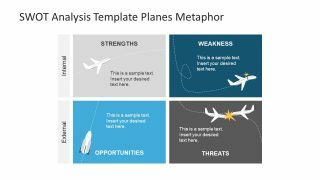 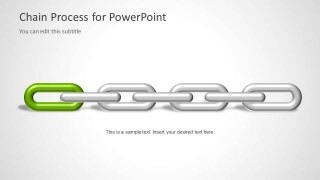 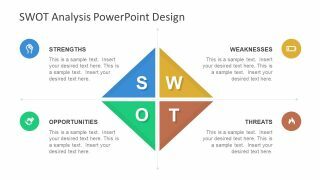 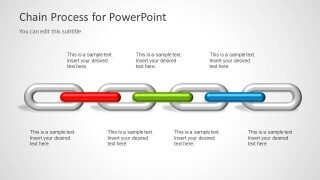 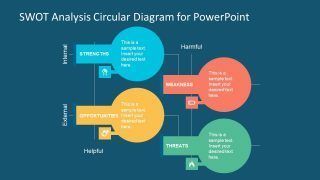 You can use the chain PowerPoint template created with shapes to create slide designs with metaphors of chain reaction or a strong or weakest link. 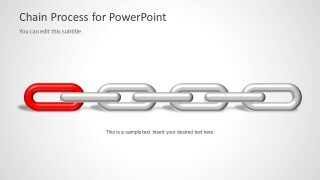 For example, using the weak link metaphor you can make presentations on technology security to demonstrate the security flaws or weakest security link in a network.